I don’t know her name — neither her location. A friend tagged me in an inspiring FAcebook post where I came across her picture. 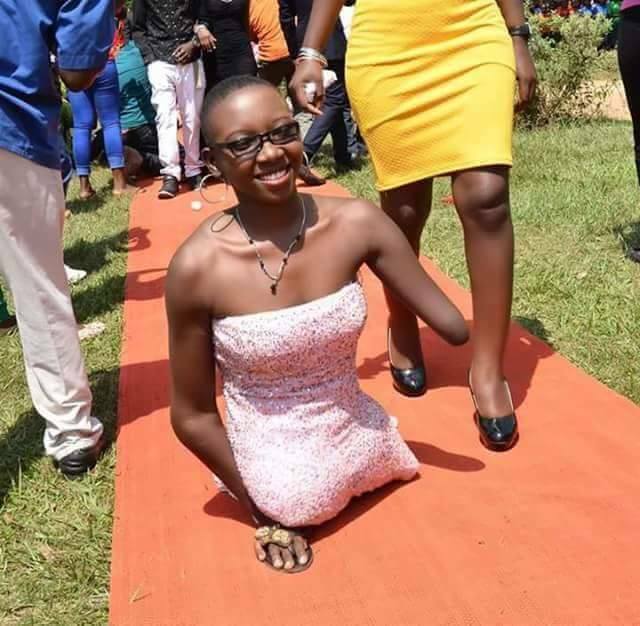 According to David Darlington Djan, a Facebook user, the pretty lady you are seeing in the photo above has no arms and legs but makes time for God. The photo of the beautiful girl who was decently dressed was on her way to church and this inspired us to post. Maybe, this is the right time to make time for God.